Guerric de Ternay Gerrik de ternay is the founder of two fashion brands focused on providing sustainable products. GoudronBlanc is over 8 years old offers unique crew and V-neck T-shirts for men using organic cotton, and Blackwood launched last year, and sells accessories handmade from cork leather. They now serve 1000s of customers each year. 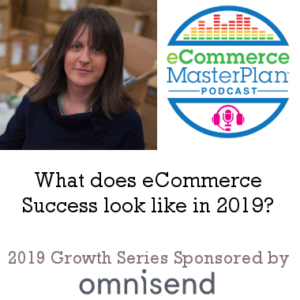 To celebrate 200 episodes, and the end of our 2019 eCommerce MasterPlan Growth Series sponsored by Omnisend Chloe takes over the show to talk about Success goals. What they are, how to identify them, and how to use them to make 2019 super-successful for you. 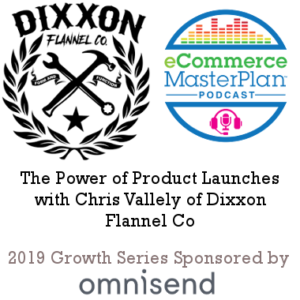 Chris Vallely is in charge of ecommerce, product development, and supply chain at Dixxon Flannel Co. Founded in 2013 they have grown by over 200% each year aiming for sales of $9 million this year. 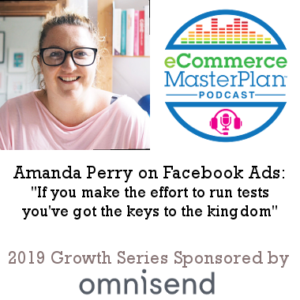 Amanda Perry is a Facebook Ads strategist par excellence, with recent client successes including driving over $1m in 4 months for one client and a launch worth over £200k for another! 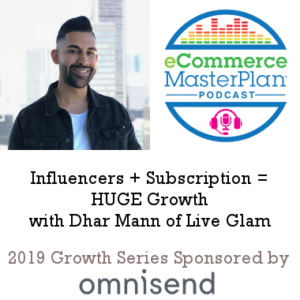 She joined me in the Virtual Summit last year to run through how to make Facebook Ads a success in your business – and she’s joining me on the podcast now to give us the heads up on how to make our Facebook Ads super-successful in 2019. 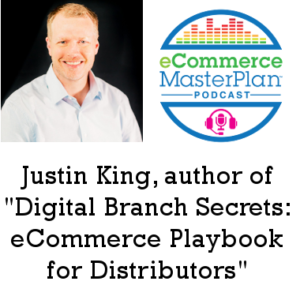 191 What is the most important thing we learnt in eCommerce in 2018? 188: How Xero Shoes have consistently grown at 80%+ for nearly 10 years. With Steven Sashen. Aaron Spivak is the co-founder of Hush Blankets. Specially weighted blankets to reduce anxiety and improve sleep. 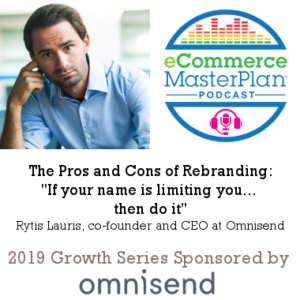 The website went live in January 2018 – and they’ve already achieved some crazy growth numbers, including completely selling out of stock 4 times already. 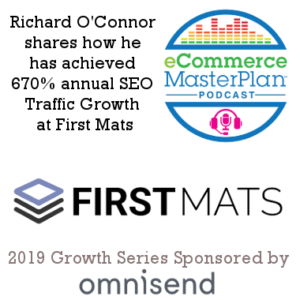 This is the first retailer interview in our 2019 eCommerce MasterPlan Growth Series sponsored by Omnisend, the all-in-one marketing automation platform that empowers ecommerce marketers to boost sales with omnichannel tools and in this episode we get a masterclass in eCommerce growth from one of Australia’s cleverest eCommerce brains. 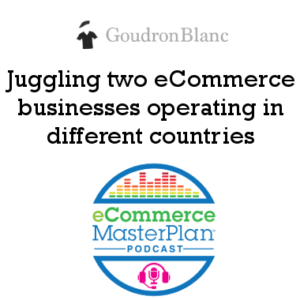 Covering a whole host of topics including CRO, remarketing, SEO, and abandoned carts. 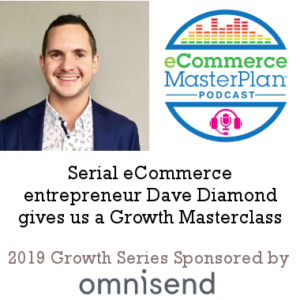 I’m really excited to be chatting with Dave Diamond today – he’s the eCommerce brains behind several businesses in Australia. Originally the founder of Colourblocker a source of dropshipped products for sellers In 2014 he founded Zumi – growing it to 7-figure turnover, and to be Australia’s number 1 electronics interest free retailer, he recently sold his interest in Zumi, and now works with a number of eCommerce businesses including Cactus Watches.com – Australia’s Favourite Kid’s Watch Brand. Wow!